4 Bedroom / 2 Bath - 2574 s.f. Spacious, elegant home on a very large lot. 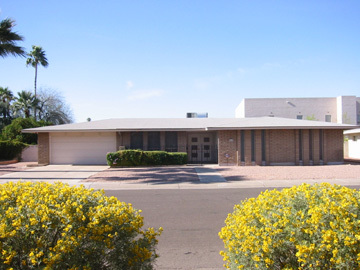 Great Tempe location near the 60 & 101. Four bedrooms, eat in kitchen and separate dining, living, and family rooms. Split Master bedroom design, workshop, laundry room and plenty of storage cupboards. This magnificent 1969 designer gem is a rare find.